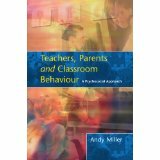 Andy Miller worked as a primary school teacher for five years from 1970 after taking a degree in psychology and physics as an external student of London University. 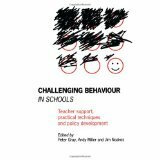 He then qualified as an educational psychologist by taking an MSc at Sheffield University where in 1994 he also obtained a PhD. 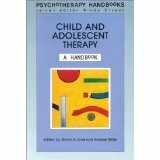 He was appointed to the part-time post of tutor to the educational psychology professional training course at the University of Nottingham in 1984. In 1994, he became programme director while also continuing to work with young people, their teachers and parents in a local authority context throughout his career. 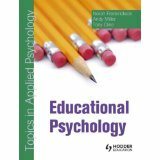 In 2001 he was elected a Fellow of the British Psychological Society (BPS) and the University of Nottingham appointed him to the post of Special Professor of Educational Psychology in 2003. Also in that year, he featured in the Independent on Sunday’s article ‘Ten Top Educational Psychologists’. Andy has served as a member of the editorial boards for two professional journals for a total of 25 years and has also during that period acted as an external examiner for Masters and Doctoral students in a wide range of British universities. He retired from his full-time post in 2008 when he also became the first ever recipient of the ‘Distinguished Contribution to Educational and Child Psychology Award’ from the BPS. Nowadays, Andy undertakes occasional research, lecturing, editing and examining duties as an Honorary Professor at both the University of Nottingham and the University of Warwick.